We heard about this way back in February and now its finally here. 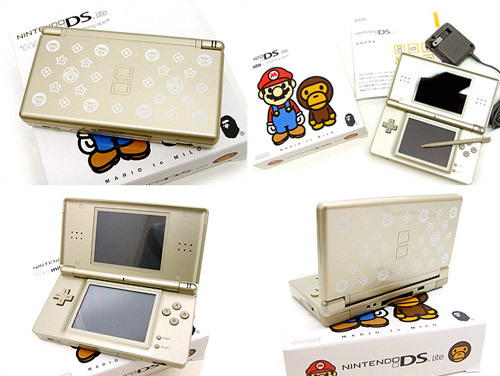 Nintendo and Bape have teamed up together to create this Exclusive Limited Edition DS Lite. The Bape designed DS Lite comes in completely gold with white monogram that has both the brands signature characters, Baby Milo and Mario. Currently this item is only sold in Japan through NFS, Nigos Favorite Shop.